At Alpha Cleaning Supplies, we offer a wide range of brooms together with brushware that anyone can afford. 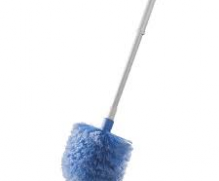 Our cobweb brooms are great for maintaining the hygiene and cleanliness of places such as hotels, clubs and bars. 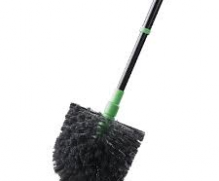 If you’re looking for a great indoor or outdoor sweeper, then our cobweb brooms are the best and most durable choice in our line of commercial cleaning products. Take a look at the features that our cobweb brooms have to offer for your needs. Cobweb brooms are a unique but handy solution for getting rid of cobwebs from the hard to reach places in the ceiling. They are made to reach far into the corners and precisely pull those spider webs that can eventually become an eyesore for any living or commercial space. Instead of using a sweeping motion, cobweb brooms are lifted up and applied directly onto a spider’s web and twisted. This motion will grab the webs and eliminate them effortlessly. The cobweb brooms that we offer are contoured in shape and are capable of removing dust and dirt beside cobwebs. They have large heads to make them easy to use when cleaning vents and corners. We also provide extensions for those that are looking to reach places that are higher than usual. 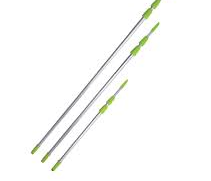 Our poles are easy to chance and make reaching high places a lot easier than normal. Aside from that, they are made using high-quality materials that are great for heavy-duty use. If you’re in need of cobweb brooms and commercial cleaning products today, come to check out our selection at Alpha Cleaning Supplies.